You’ve found your dream home, and you want to buy it. But there’s 10 due diligence steps you should take to ensure you can move forward with confidence. Speak to a mortgage broker or a mortgage specialist at your bank and get pre-approved for a mortgage. A good mortgage pre-approval accurately measures your financial qualifications and how much house you can afford. The financial institution will also provide a 90 or 120-day guarantee of its mortgage rate in case those rates jump while you’re shopping. But a pre-approval isn’t a firm approval. When you’re ready to make a purchase, the lender will likely want to appraise the property to ensure that you’re paying market value or the property has an adequate lifespan. If the purchase price is well above market value or the home is deemed to have a short life expectancy, you may require a higher downpayment or the bank may not give you a mortgage at all.. When setting your budget, don’t forget to factor in costs like closing fees, maintenance or repairs, and monthly strata fees if you’re buying a condo. Request any information they may have on record about the property such as its zoning, lot dimensions, permits that have been issued or any future plans for the surrounding area. Checking the zoning is especially important if you’re planning to operate a business out of your residence, renovate or redevelop, or perhaps rent a suite in the home. If extensive renovations were done, such as adding a garage, you can see if they were properly permitted. 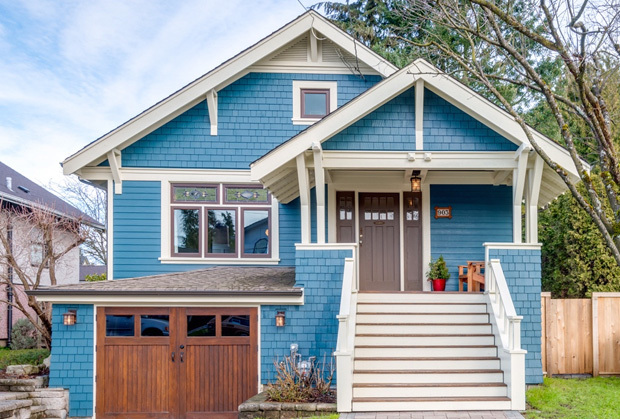 While property disclosure statements aren’t required under BC law, realtors will often ask for one from the property’s current owner so they can give buyers as much detailed information about a property as possible. The property disclosure statement is a three-page document that itemizes potential problems like renovations done without a permit, unauthorized rental suites, asbestos insulation, unregistered easements or whether the seller is aware of any issues like the presence of an underground oil tank, moisture problems, whether the property was ever used as a grow op, or if it’s ever been designated as a heritage site. The statement can be legally incorporated into the contract for purchase and sale. A title search will confirm whether the person selling you their property is actually the rightful owner. It will also determine whether there are any easements, right-of-ways or covenants against the property that could affect its future development. It will show if there are liens or outstanding mortgages on the property. A site survey will tell you what you’re buying. It shows the property lines, how the property is aligned with neighbouring properties and features like roads or sidewalks as well as where the house is positioned on the property. Obtaining a site survey certificate is one of the due diligence steps you can take when buying a home to ensure there’s no nasty surprises after the deal closes. A lender will often require a survey certificate as part of their mortgage requirements. They’re doing their due diligence. In some cases the lender will request a title insurance policy instead of a survey certificate. Sometimes they’ll ask for both. Title insurance protects the lender against potential issues with a property such as encroachment or past fraud. Utilities include gas, electrical, annual “solid waste, water and sewer” levies and property taxes. Your realtor can request utility bills from the property’s current owner. Water/sewage rates as well as the taxes for a particular property can usually be searched on a municipality’s website. A qualified home inspector will walk through and around the property to assess any major defects, safety concerns or potential threats to the integrity of the home. But keep in mind there are limitations because they can’t see behind walls. In a hot market it can be difficult, even impossible, to purchase a home with a “subject to inspection” clause. When this is the case, hire an inspector before presenting an offer. When you’re considering the qualifications of a home inspector, assess their knowledge, experience, training, certification, licensing and their level of participation in the industry. Most lenders are going to require you to have insurance in place in order to get a mortgage. If you’re buying an older home that has a wood-burning fireplace or knob-and-tube wiring, you may encounter some issues getting insurance, or you may have to pay higher premiums. Insurance companies can deny coverage if the property has been vacant for an extended period of time, or if it’s been poorly maintained. Even renovations could affect your ability to get an insurance policy. And remember, events like sewer backups and earthquakes aren’t typically included in basic policies. If it’s an older home, your due diligence should include confirming there’s no oil tank buried on the property. Before the widespread adoption of natural gas or hydro for heating, many homes used an oil-burning furnace that was fuelled from a tank buried somewhere on the property. Some municipalities keep records of properties known to have oil tanks, or those that have had old tanks decommissioned. Check there first. In New Westminster, call the fire prevention office to see if they have anything on file for your property. In Burnaby, you can send an email to fire@burnaby.ca. In Vancouver, call the city’s information line at 3-1-1 to check if there are any records for oil tank removals or abandonments. Coquitlam Fire & Rescue can check their records if you call 604-927-6400. If those searches come up empty, you’ll have to check with the current owner to see if they have had the property scanned for an oil tank, or else hire a company which can do the scan. A basic scan will cost you between $80-150; a technician scans the property with a metal detector and probing device. For a more accurate and detailed scan, consider a company that uses Ground Penetrating Radar (GPR). Before your property is scanned, make sure all metal debris is moved away from the home. Decks with a low clearance may also affect the ability to get a conclusive scan. The decommissioning and removal of old oil tanks is labourious and expensive, especially if it’s leaking oil into the soil. If a tank is discovered after you’ve acquired the property, you’ll be on the hook for its removal as well as any remediation for the surrounding soil. Don’t expect appliances like the stove, refrigerator, dishwasher or microwave to be part of the purchase unless they’re specifically written into the contract. Some examples of items that should be specifically written into a contract include: garage remotes, window coverings, curtains, keys, sheds, appliances and corresponding warranty manuals, potted plants, shelving units that aren’t attached to walls. The inclusion of fixtures like TV mounts, blinds, security systems, hood fans and central vacuum systems should also be clarified. If your due diligence checks out and you’re confident in your purchase decision, you can remove subjects, submit your deposit and wait for the day when you get the keys to your new home.